Top Caribbean Passports For Visa Free Travel Around The Globe - Caribbean & Co.
Caribbean passports are increasing in value and according to the recently published 2016, Visa Restrictions Index from Henley & Partners a global leader in residence and citizenship planning, Caribbean nationals that are citizens of countries/territories dependent on the United Kingdom, France, Netherlands and the United States have passports that provide the most visa free travel around the globe. 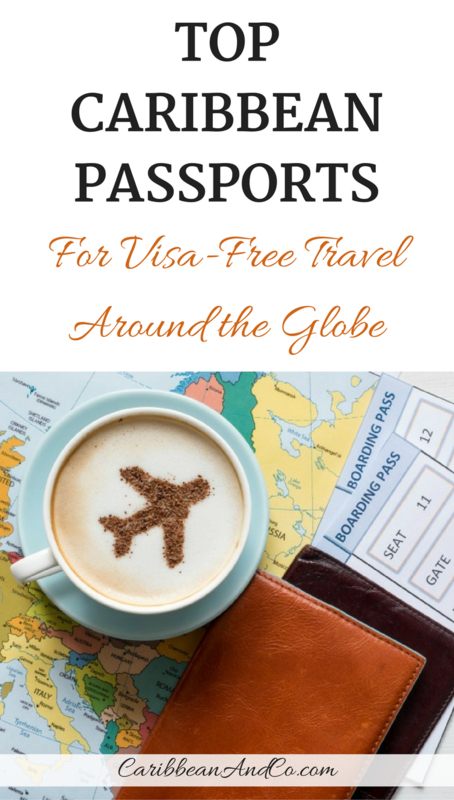 Specifically, those that have a passport from the United Kingdom and France can travel to 175 countries without requiring a visa. For those with a passport for the Netherlands and the United States of America, they can travel to 174 countries without requiring a visa. Only citizens of Sweden with visa-free access to 176 countries and Germany with visa-free access to 177 countries which hold the number 2 and 1 ranking respectively can travel to more countries visa-free. Aerial view of the West Coast of Barbados who have the top-ranked visa-free passport for independent Caribbean countries. 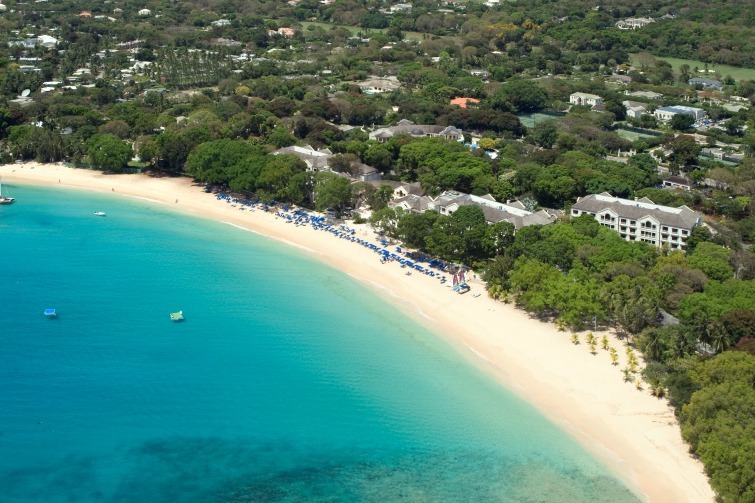 Photo Credit: ©Dan Christaldi/Barbados Tourism Marketing. So what about the Caribbean passports for countries that obtained their independence? Well, Barbados tops the list of Caribbean passports with visa free travel access to 141 countries. They are followed by citizens of The Bahamas with visa free travel access to 140 countries and Antigua & Barbuda with visa-free travel to 134 countries. Citizens of the Dominican Republic which is the number one tourist destination in the Caribbean only have visa-free access 54 countries. In fact, just six more than Haiti who are at the bottom of the Caribbean list with visa fee travel access to just 48 countries. 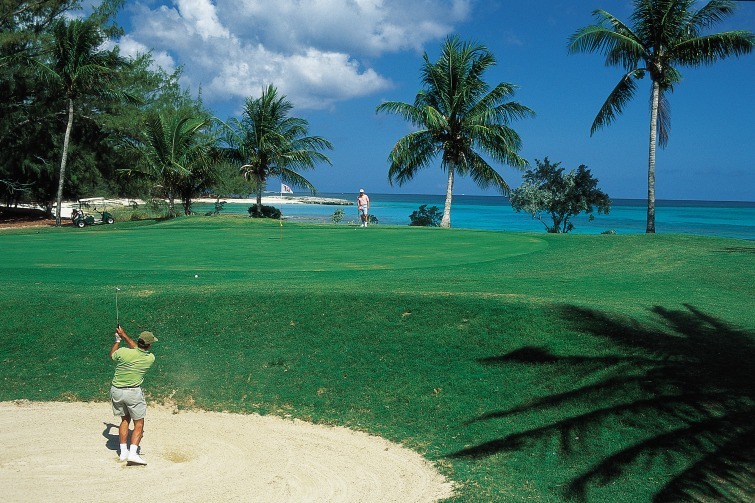 Golf course in The Bahamas who have the second highest ranked visa-free passport for independent Caribbean countries. Photo Credit: ©Dan Christaldi/Bahamas Tourism Marketing. Visa free travel to 100+ countries including Canada, the United Kingdom, and 26 European Union countries in the Schengen Zone is one of the reasons why some Caribbean passports via Caribbean Citizenship By Investment Programs are becoming increasing popular with ultra high net worth individuals (UHNWI) nationals from the Middle East, Russa, China and even South America. This is because from a further review of the 2016 Henley & Partners Visa Restrictions Index which was actually produced in cooperation with the International Air Transport Association (IATA) who maintain the world’s largest database of travel information, we see that the Russian passport is ranked 48th with visa free travel to 105 countries but not Canada, the United Kingdom or Europen Union Schengen Zone countries. Further down the list is the Chinese passport ranked 87th with visa free travel to only 50 countries. This is very limiting for the super-rich from these countries who want to jet around the globe at a moment’s notice for business or pleasure. Thus by securing one of these Caribbean passports through say through the newly launched Saint Lucia Citizenship By Investment Program, the Russian or Chinese national is able to travel to more countries including those in the Schengen Zone without the continual hassle of applying for a visa. Plus the second passport acts as insurance in cases of political and economic instability. 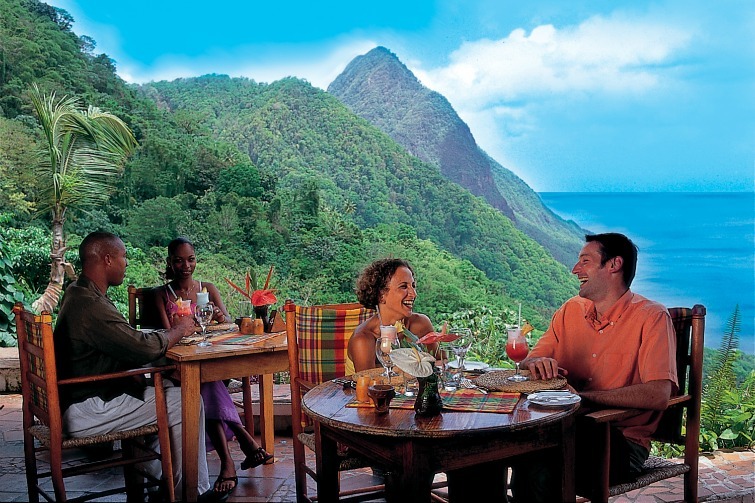 Couples dining Out in Saint Lucia where a Citizenship By Investment Program was recently launched. Photo Credit: ©St Lucia Tourist Board. Beyond Saint Lucia, only 4 other Caribbean countries including Antigua & Barbuda, Grenada, Dominica, St Kitt & Nevis and Saint Lucia have Citizenship By Investment Programs. Will others follow? Well, Caribbean countries and territories that are dependent on the United Kingdom, France, Netherlands and the United States are not eligible to launch their own Citizenship By Investment Program. In fact, Montserrat an overseas territory of the United Kingdom failed to get approval from the British government to launch their own program to help fund recovery after volcanic eruption left two-thirds of the island uninhabitable. Interestingly, the United Kingdom has a Residence By Investment Program leading to citizenship. This then means that only independent Caribbean countries like Barbados and The Bahamas who top the visa free travel can consider launching a Citizenship By Investment Program of their own but only time will tell if they pursue. There is economic pressure to raise millions if not billions for development in the Caribbean through Foreign Direct Investment and so the debate will be stirred as more becomes known about the success of the existing programs. The Antigua & Barbuda Citizenship By Investment Program launched in 2012 now raises 25% of government revenue and the St Kitts & Nevis program launched in 1984 now raises 33% of the government revenue about US$74million. But some (politicians and concerned citizens) are now uncomfortable with the growing number of foreign nationals who have no real connection to the island, yet travel the globe with a St Kitts & Nevis passport. The latest reports indicate that there are approximately 10,777 foreign nationals carrying St Kitts & Nevis passport — 2,296 granted in 2015 alone! For Saint Lucia the new kid on the block, they plan to limit the number of applicants to 500 each year but if all their passport applicants turned out to be coupled with say two to three dependents and opted for investment into the Saint Lucia National Economic Fund, the government could raise a minimum of US$125million. That’s an incredible sum to raise from just 500 people, many of whom will invest to secure the passport but won’t actually live in Saint Lucia.